I asked my playing companion, a very good golfer by the name of Chris Gurry, about the golf capabilities, or lack thereof, of one of our mutual friends. 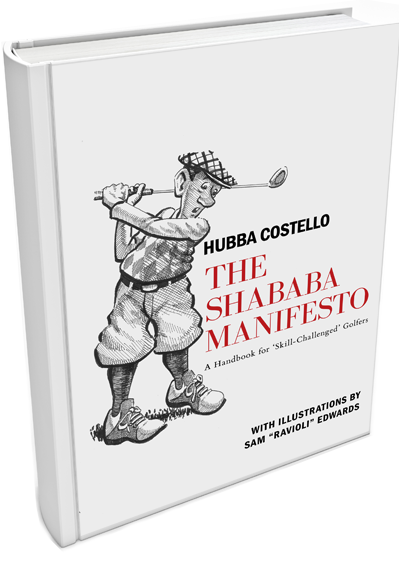 Lads, be careful what you ask for, because The Shababa Manifesto is that book. And here’s what it’s about. 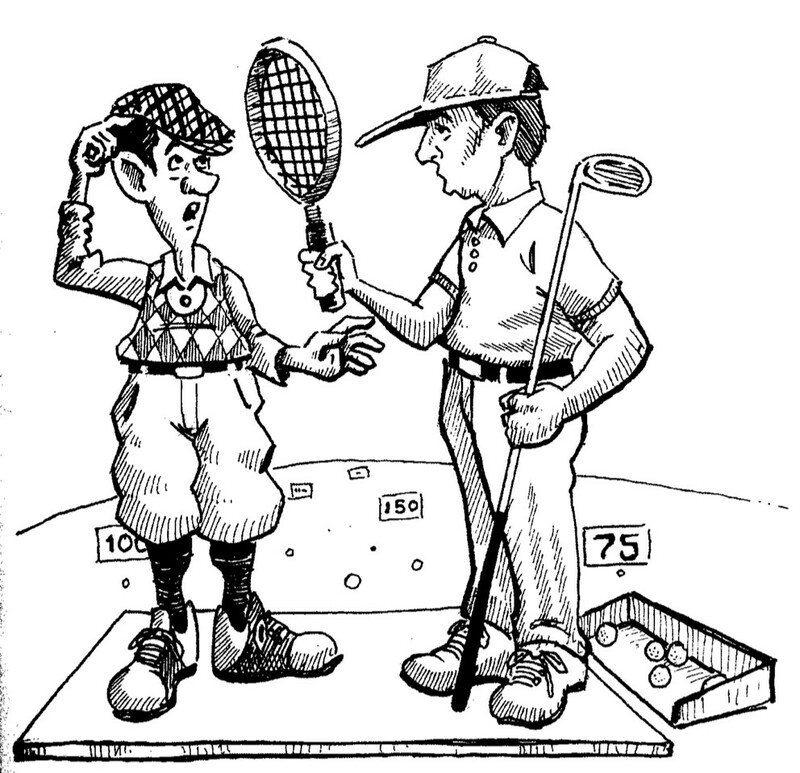 Simply stated, The Manifesto is an eighteen-hole, nineteen-chapter (Don’t forget that Nineteenth Hole) golfing primer for the golfer whose talent for the game doesn’t quite measure up to his enthusiasm for the game. Or, as more succinctly articulated throughout the opus, for the golfer who stinks. And as you will learn, that is about 90 percent of us! If you don’t really know what swing you will pull out of your golf bag, or where your next shot will take you, this book is for you. If you don’t really believe that lessons, or practice, or training aids will make you any better, this book is for you. If you don’t really think that strong and weak Vardon grips, or pronation, or swing planes, or finding The Slot make a whole lot of sense for your game, this book is for you. Finally, if you just love to play golf, in spite of your never-ending infirmities, because you really dig banging a ball around some beautiful real estate with guys with whom you just might pound a couple of pints after the round, this book is for you. Sound like you? Well, congratulations! You’re a Shababa, and should immediately contribute to our quixotic cause and BUY THIS BOOK!